Barcelona doctor Ricard Pruna says Neymar must gain weight in order to reach his peak physical condition. The Brazil international passed his Barca medical earlier this month to complete his €57 million transfer from Santos, but the Catalans' club doctor feels it would be in the attacker's best interest to add a few kilos ahead of the 2013-14 campaign. 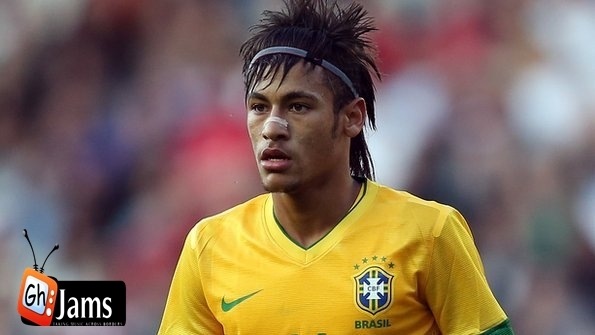 "My first impression is that Neymar needs to gain a pound or two. Our medical inspection was done quickly and his weight is just another data point," Pruna was quoted as saying on the club's official website. "We’ll get to know the player over the course of the season and we’ll constantly add to our data input. With this information we’ll know what his ideal weight should be. "The first impression is that he weighs 64.5 kilos and he has a tendency to lose weight. Perhaps he needs to add a kilo or two, but I can’t say exactly how many." The 21-year-old has impressed at the Confederations Cup so far, netting two goals in as many games to help Brazil to the semi-finals.